The Australia culture is strongly influenced by United States, British and European culture. Here is a lighthearted insight into the Aussie mindset – The Australian Culture Test. Australia has one of the most fascinating cultures in the world. The reason for this is the unique history and geographic location that Australia possesses. Another fascinating addition to the Australian culture has been the diverse sampling of immigration that has occurred from Polynesia and Southeast Asia throughout history. For this reason, it is absolutely valuable to both travel to and live in Australia for a time. Throughout this experience, you will get the opportunity to witness many fascinating events for yourself. Consider the following discussion when contemplating entertaining ways to learn about the culture and practices of Australia. Travelling Outside Their Home Country: This one is particularly entertaining because having travelled a great deal, there are always Australians everywhere. Upon meeting Australians, one will realise that they have not seen their own extensively, but have seen many of the famous monuments around the globe. They are known for taking one to two-year gap holiday years and seeing the globe. Playing the Pokies: Pokies is a form of gambling machine that can be found at casinos in Australia. Across the board, Australians adore this tradition and do spend time playing this game to see what they are able to win. Following Swimming Competitions Religiously: Australians are a very active people; however, they have an intense amount of respect for swimmers. If an Aussie wins a Gold Medal in swimming, they will be a national hero for life. Eating Seafood on Christmas Day: Since Australia has so many picturesque views near the ocean, it is no surprise that they have considered eating seafood on Christmas Day. In fact, this has become quite the common cultural practice across the board. Always Saying, “How’s it going?”: Instead of saying, “Hello,” is quite common for an Australian to ask: “How’s it going?” What is important to realise is that they don’t actually want to know how you are doing, they merely want to break the ice of the conversation. Dressing Elegantly for the Horse Races: Since Australia is culturally tied to England, the tradition of the upper class dressing well for the horse races still exists in Australia. At these events, it is possible to see the high members of society wearing the traditional dresses and hats to show their status. Taking a Day off for the Queen’s Birthday: Even though the British do not take a day off for the Queen’s Birthday, the Australians still do. It is perhaps due to one of those strange traditions still in existence from the colonial era; however, the Australians are surely not objecting to its place in their culture and customs. Watching Footy: Footy is not an actual sport. Australians do refer to four different sports when discussing footy. These sports are: football, rugby, among others; however, they will always be referred to as the one sport of “footy.” When visiting Australia, do not be surprised about this, merely enjoy the match. Shortening Words Daily: Australians are notorious for shortening words and having their own slang. It is quite difficult for other native speakers to understand what they say many times. Part of this is due to their geographic isolation and the other is due to their custom of shortening words. Some examples are “sunnies” for sunglasses and “boardies” for surfboards. Cursing the Rain: A running joke in Australia is that Sydney gets more rain than London. For this reason, when it rains in Sydney, Australians curse the rain in London in an effort to continue the sparring match between themselves and their colonial predecessors. Anzac Day: Anzac Day is celebrated on April 25th of every year to commemorate the battles fought by Australians and citizens of New Zealand during the WWI. This day is so culturally significant to Australians and citizens of New Zealand because they helped capture Constantinople (now called Istanbul), which greatly helped the war effort in WWI. Australia Day: Australia Day commemorates the date of January 26, 1788 when Captain Arthur Philip landed in New South Wales with eleven boats of convicts that officially founded Australia. Today, the holiday is celebrated as a symbol of Australian nationalism commemorating both Australia’s past and future as a country. Kangaroo: The Kangaroo is surely one of Australia’s most famous symbols. 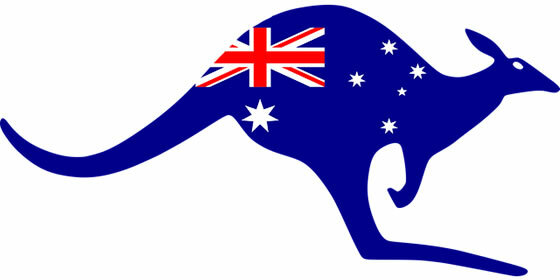 In fact, it is one of the symbols on the Australian coat of arms. Many businesses such as the airline Qantas use the Kangaroo to symbolise their Aussie loyalty. Wattle: The Wattle is the national floral symbol of Australia. Today, the floral symbol also has a holiday that is observed on September 1st of every year. Southern Cross: The Southern Cross is one of the most distinct star constellations that can be seen in the Southern hemisphere. For this reason, it is used on the national flags of Australia and one of its proud and respected symbols. Uluru: Uluru is one of Australia’s most famous landmarks. It is a mountain rock that has been eroded from a mountain range and left in isolation. Boomerang: The Boomerang is something that is used in many Aussie hunting activities and sports. That said, it originates from Australia’s Aboriginal people and has been used in many engineering innovations in the country, which now makes it a symbol of Aussie identity. Australians, overall, live a very high quality of life. That said, there are several things that they make as a priority in their daily lives. One factor that greatly impacts their daily activities are the unique geographical sights available in Australia for locals to enjoy. For example, there is a huge emphasis on outdoor sports. Football and Rugby are huge influences and the possibility of playing outside when the weather is warm. There also is a large emphasis on surfing and hiking for Australians. In terms of diet, Australians are becoming more health-conscious every day. This is driven by the increasing trend of organic living and taking social responsibility for how food is produced and how much waste is incurred whilst doing so. That said, there is still a sector of Australians that enjoy traditional cookies and cakes that are not as healthy. The day-to-day Aussie diet is a true mix due to the melting pot of cultures that are found in Australia today. Pirate Life Brewing IPA: Pirate Life Brewing IPA is located in Hindmarsh, South Australia. What their expertise is as a brand is making IPAs that have a better mix of flavour than the traditional standard IPA. Their best beer is the Imperial IPA, which contains 8.8% alcohol in a 500ml bottle. Mornington Peninsula Brewery Mosaic IPA: Morning Peninsula Brewery Mosaic IPA is a brewery that started in 2012. It has a Mosaic hop that has a nice combination of fruity, earthy, and floral flavours. In keeping with the style of IPA’s. Mornington Peninsula Brewery has taken advantage of these combination of flavours in their packaging and marketing, which makes sampling this IPA quite the experience. The ideal beer to try from Mornington Peninsula Brewery is the Mosaic IPA, which has 5.5% alcohol in a 330ml bottle. James Squire Hop Thief No.8: For those that prefer America Pale Ale, then it is wise to try James Squire Hop Thief No.8 that is brewed at the Malt Shovel Brewery in Sydney. This brewery is owned by one of the most important players in the Australian beer industry, Chuck Hahn. The beer is slightly less sweet than others and contains a 5% alcohol percentage in a 345ml bottle. Red Hill Brewery Scotch Ale: This is a craft beer that celebrates Australia’s former ties with Great Britain. It is a craft beer that has a malt base, which is substantially different from most craft beers that originate in the New World. The percentage of alcohol per 355ml bottle is 5.8%. Prancing Pony Brewery India Red Ale: This beer is from Mount Barker, South Australia and is one of the few Australian brews that has won awards at International Beer Challenge in London. It is an American Imperial Double Red Ale that uses a fire-brewed technique. It has 7.5% alcohol per 500ml bottle. Australians are compulsive buyers having some of the biggest credit card debts in the world. On rainy days (no beach to go) it is very hard to get a parking place in a Shopping Center. Aussies love to gamble – Pokies is a type of slot machine to be found in pubs and RSL clubs. The fashion in Australia is pretty casual and laid back. Australians are very informal when it comes to clothes. However, when an aussie says “thongs” they mean footwear not undies. 40,000 BC: It is thought that the first Aborigines arrived from Southeast Asia. In the following 20,000 years, these peoples spread throughout Tasmania and mainland Australia. 1770: Captain James Cook begins to explore the Eastern coast of Australia and claims it as a British possession. He then gave the name of Eastern Australia as New South Wales. 1788: Arthur Philip founded the penal colony in Sydney with 800 convicts. 1850: Gold was discovered at several locations, which led to an enormous interest in residing in Australia to obtain new wealth. 1901: The country is officially founded as the Commonwealth of Australia on January 1st. 1914: WWI breaks out and Australia pledges to assist in the British war effort. 1929: Australia is greatly implicated by the Wall Street Crash of 1929. Citizens suffer a great deal economically as a result. 1939-1941: Australia joins WWII by declaring war on Nazi Germany and also by assisting the United States with Japan after Pearl Harbor. 1948: Australia commences a new immigration scheme from Europe. Over the next three decades, more than two million people arrive from Europe to include individuals from: Italy, Great Britain, and Germany. 1956: Melbourne hosts the Olympic Games putting on the map as a cosmopolitan city. 1967: The Australian government passes several laws on Aboriginal rights and issues that had been neglected and abused since Europeans first arrived in Australia. 1975: Australia changes their immigration policy to not permit unskilled workers to immigrate to the country with the objective of strengthening their workforce. 2000: Australia hosts the Olympic Games in Sydney, which was amongst one of the most popular Olympic Games ever. 2008: The Australian government makes a public apology for the past wrongs committed against indigenous population. Additionally, Australia ends its policy of sending asylum seekers into detention on small Pacific Islands when last refugees leave Nauru. 2016: The Australian government blocks two Chinese companies from buying a stake in the country’s largest electricity network with an effort to avoid Chinese interference with Australian domestic affairs. All in all, Australia truly has a very diverse and distinct culture in the world. For this reason, it is no surprise that many travellers overstay their visas. In fact, it is absolutely possible to have a very high quality of life whilst living in Australia. Once one is able to demonstrate a high level of English and a professional skill that is valuable to the Australian economy, it is absolutely possible to have a rewarding time residing in Australia whether it is on a temporary or more permanent basis. Consider spending time in Australia and discover some of these entertaining cultural quirks for yourself and you will be elated that you did!